Temecula Olive Oil Company is working with a real estate developer on their upcoming Miralon residential project, a modern community built around olive groves. At a time when the US olive oil industry continues to grow more competitive, companies are looking for creative new ways to differentiate themselves from the rest. While some have forged partnerships with foreign producers or focused on their products’ health benefits, one company has taken a decidedly more social approach. 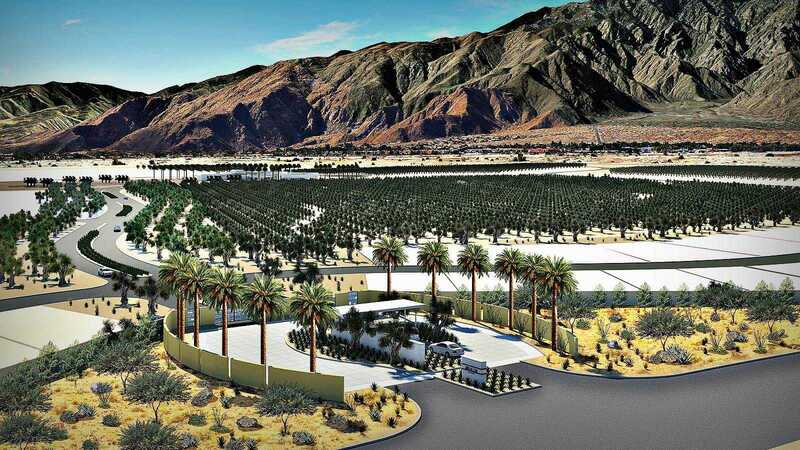 Temecula Olive Oil Company, based in California, recently partnered with the real estate developer Freehold Communities on their new project, Miralon, a 300-acre housing project set to be built in Palm Springs, California. Miralon is slated to house over 2,500 residents and will begin construction in just a few months. The land upon which Miralon will sit was once a golf course community developed by SunCal. Freehold Communities acquired it last year after Lehman Brothers, SunCal’s financing partner, was forced to foreclose on the property. After weighing their options, Freehold ultimately decided to abandon the original golf course plan in order to gain appeal to a broader audience of potential buyers. Instead, the developer has opted to focus the new community around an olive grove paired with community gardens that will not only produce olive oil and other produce but also provide hiking trails, parks and a bucolic backdrop for residents. In addition to offering a unique experience for those moving to Miralon, the change in direction poses environmental benefits. Golf courses require a lot of water to stay lush and playable, an imprudent option considering California’s recent struggles with drought. Meanwhile, “olives are well-suited for Palm Springs’ climatic conditions, which at times include high temperatures and significant wind,” said Bradley Shuckhart, Freehold’s California division president. The groves support Miralon’s appeal as a health-centered community, which is intended to attract first-time millennial home buyers and more established baby boomers alike. To this end, the community will also include “two pools, a spa, an outdoor recreation center and a gym,” according to an article published by Yahoo Finance. Shuckhart also noted the romantic association that olives often carry. In a statement provided to Olive Oil Times, Temecula CEO Thom Curry asserted that Temecula fits the project perfectly. He explained that since its inception in 2001, the company has been involved in planting olive groves and boasts a history with agricultural homesites. Beyond this expertise, Curry noted that the Temecula brand also meshes with Miralon’s desired aesthetic. “Incorporating involvement in the groves, something we have been doing for years, with walking paths and outdoor grove dining areas, combined with formal and informal educational opportunities brings this olive culture directly to the residents and visitors,” Curry wrote. In terms of what the Miralon project means for Temecula’s future, Curry said one answer lies in how the aging baby boomer population along with “engaged younger generations” continue to seek lifestyles centered around health and wellness.